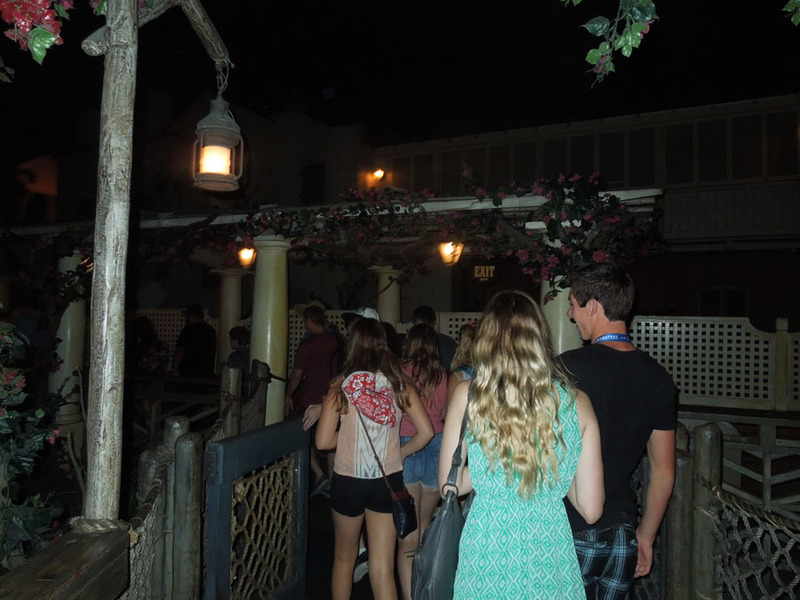 Pirates of the Caribbean! 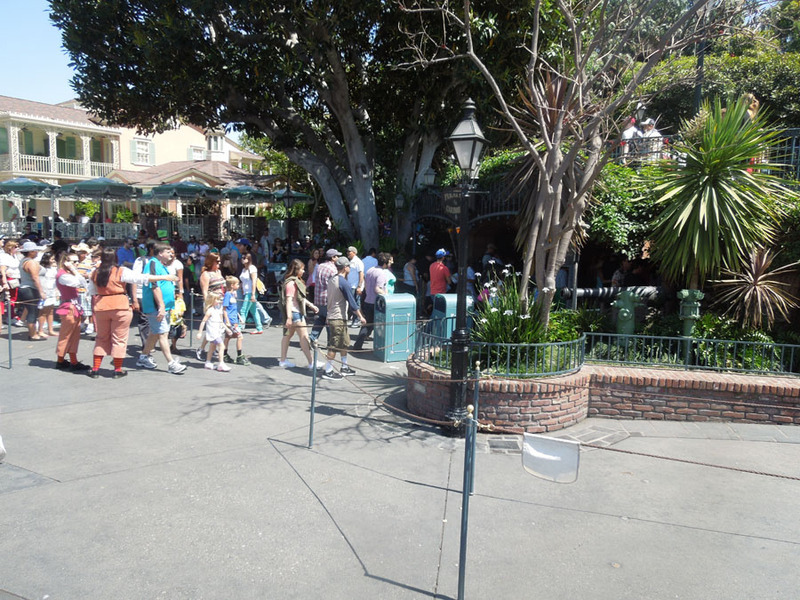 This has always been a popular Disneyland attraction. 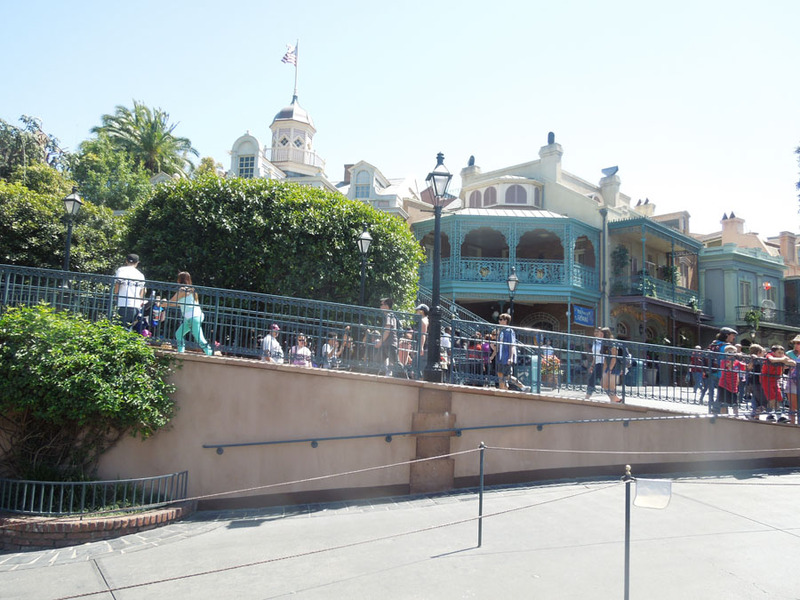 Originally designed to be a walk-through attraction, Walt Disney changed it to a boat ride after the "line-eating" success of the It's a Small World boat ride. 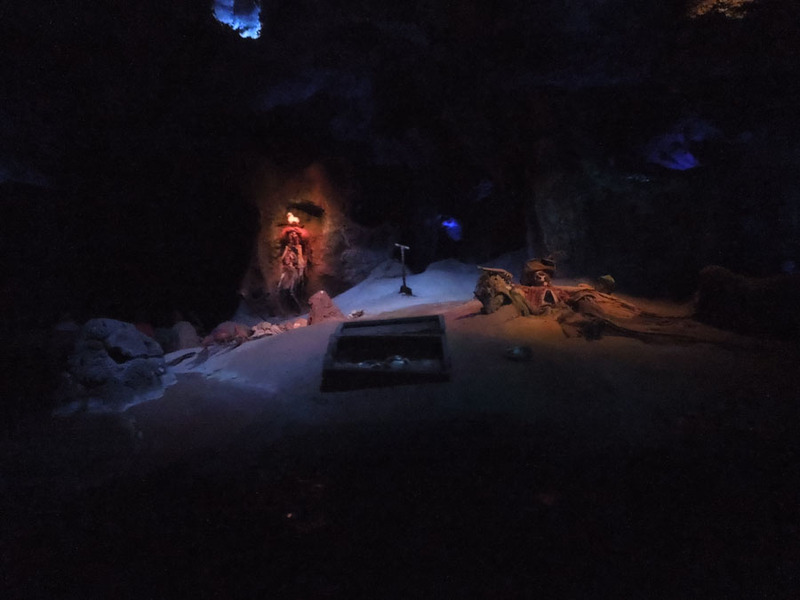 In the last 15 years, the Pirates of the Caribbean series of movies have reenergized the legend. 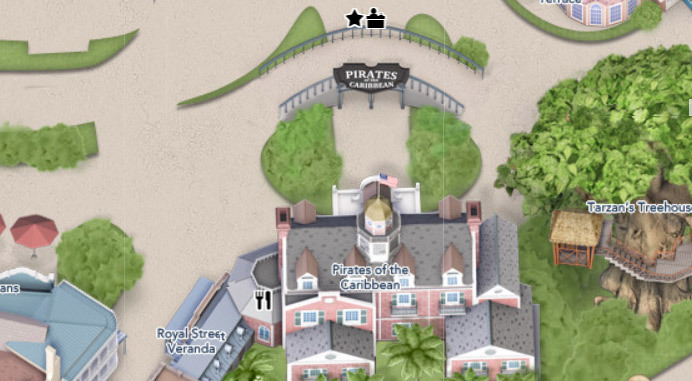 The entrance to Pirates of the Caribbean is a double archway facing the Rivers of America. 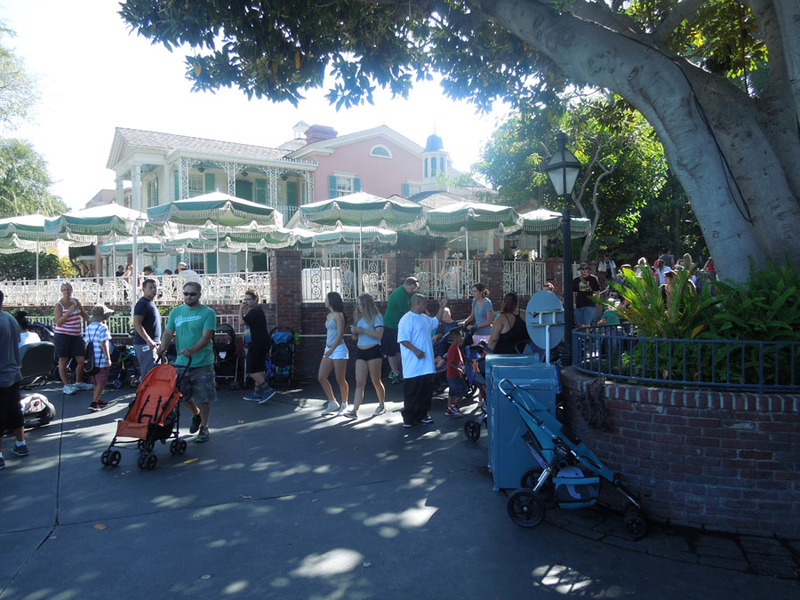 The archway is at the eastern edge of New Orleans Square. 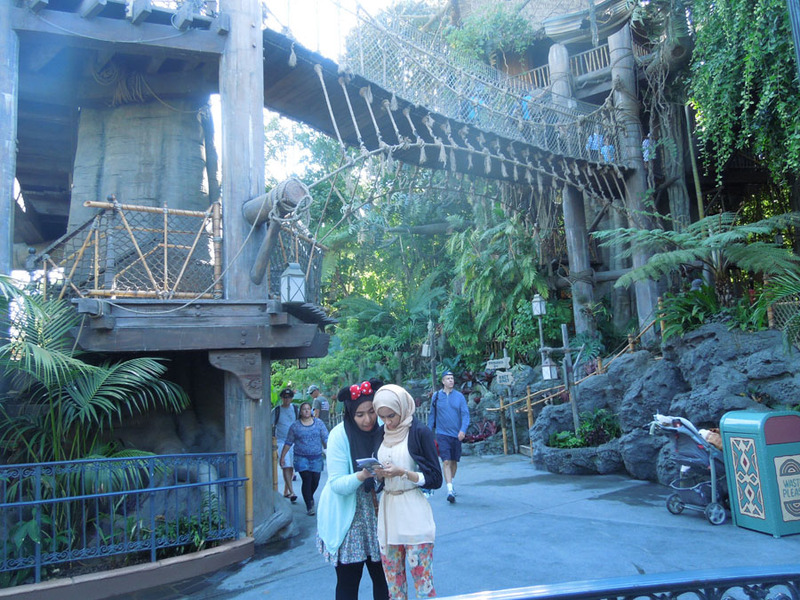 The path on the right side leads uphill to Tarzan's Treehouse and Adventureland. 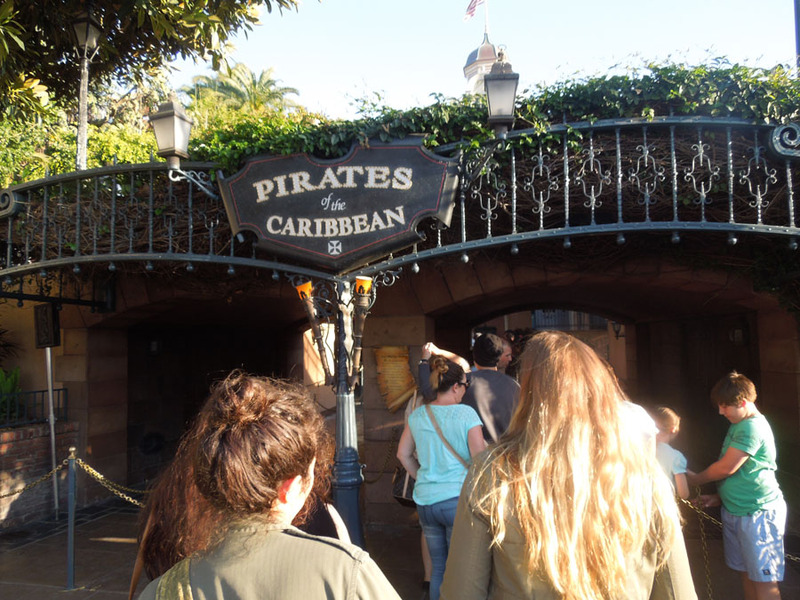 The Pirates of the Caribbean sign. I don't know what that green ivy is growing in. Through the arches there is a small courtyard with two trees. 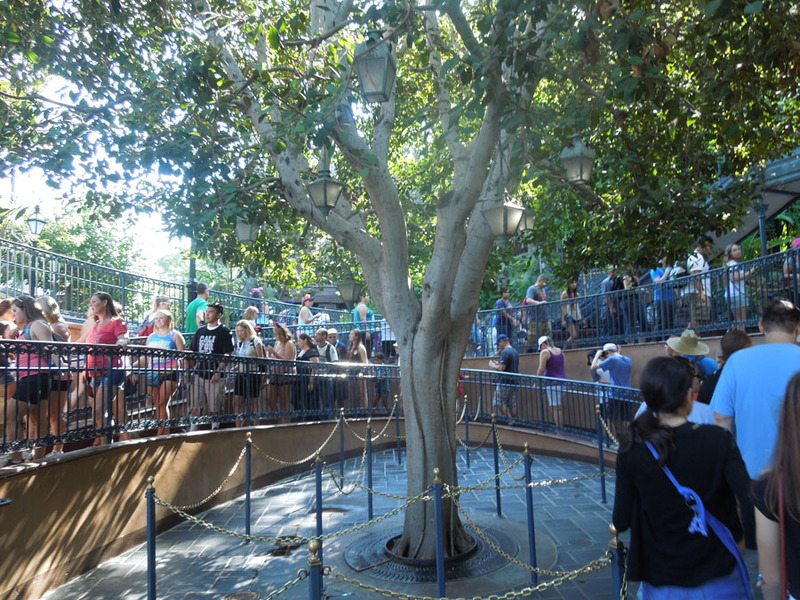 The line for the ride wraps around these two trees. 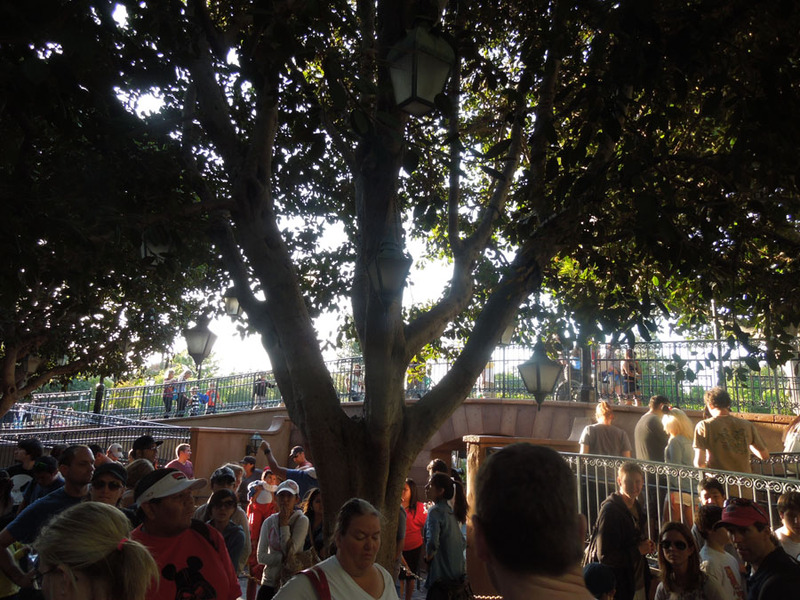 One of the Pirates trees. 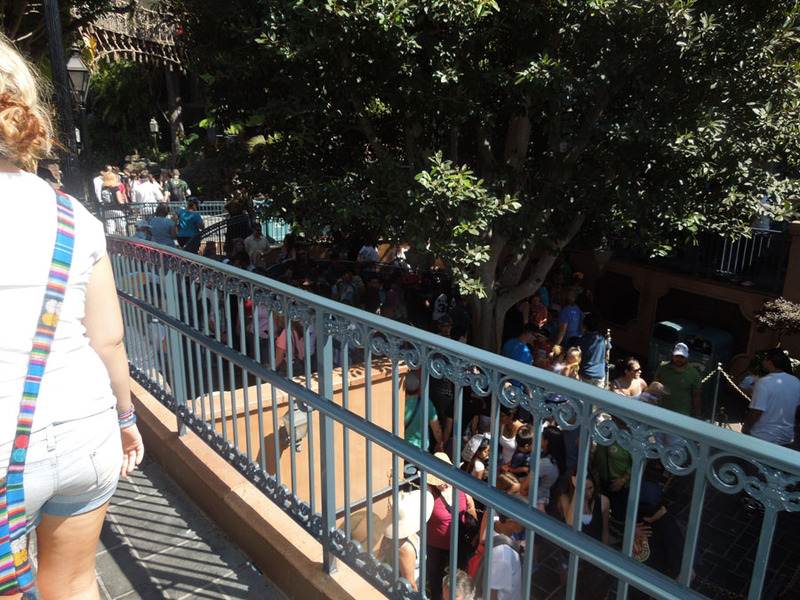 Looking up towards the people ahead of me in line. 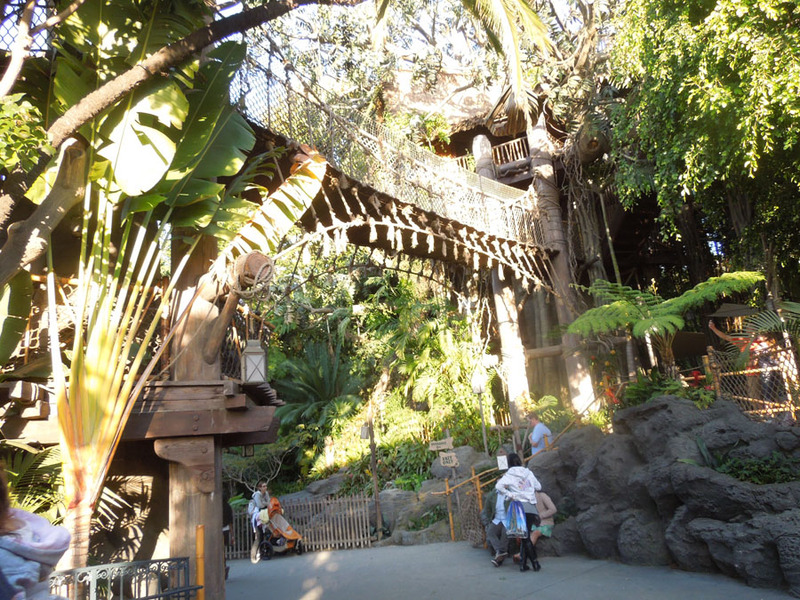 Tarzan's rope bridge is high across two trees. 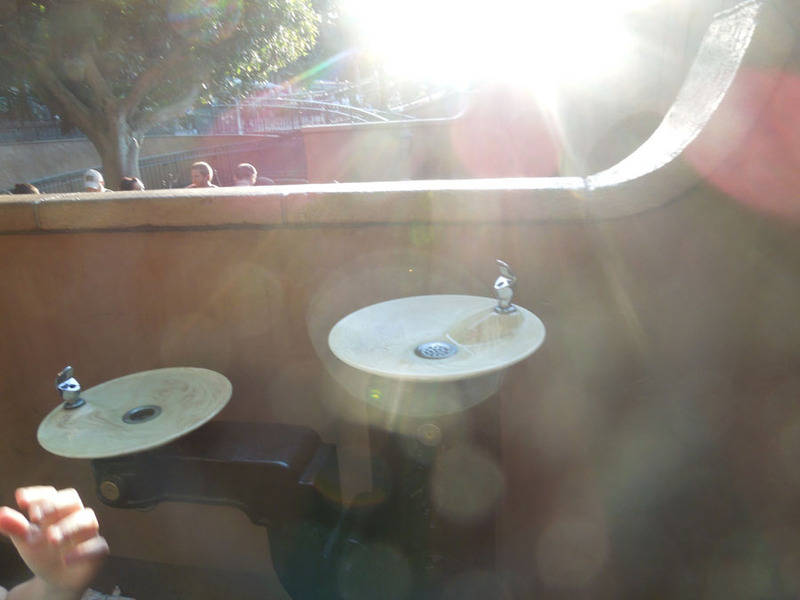 The drinking fountain in Pirates line. 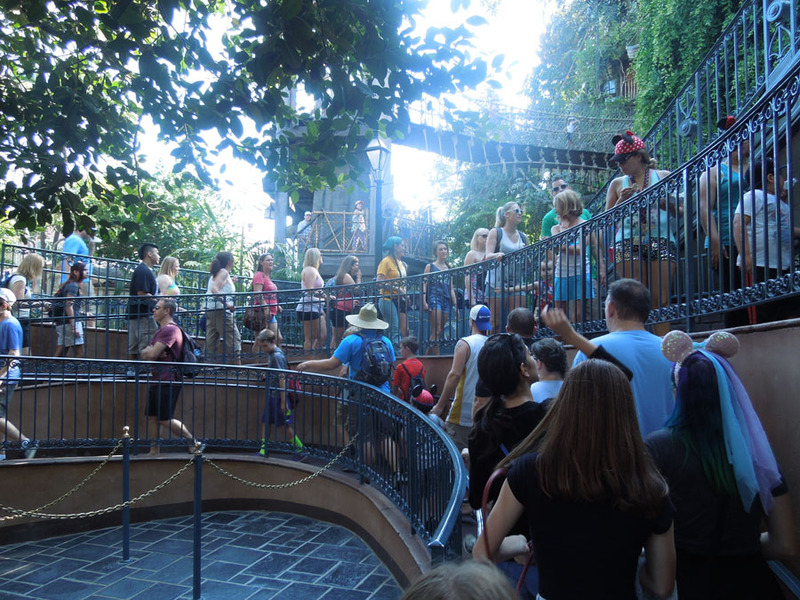 The line for Pirates winds uphill and past the staircase into the Disney Dream Suite. 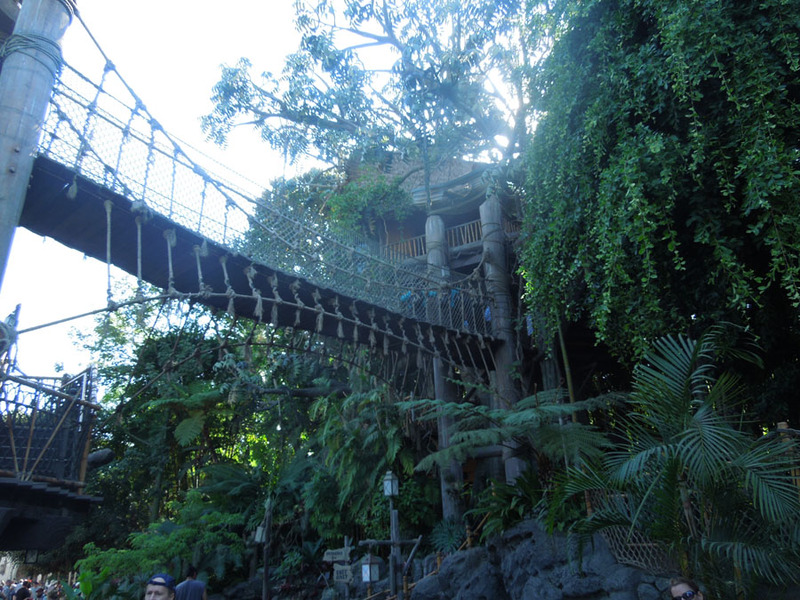 Tarzan's treehouse exit. 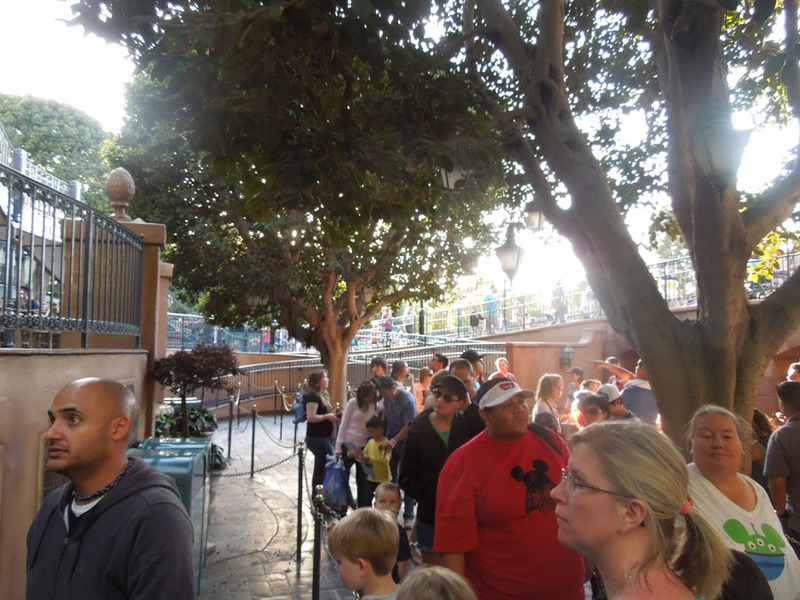 The view from the line at Pirates. 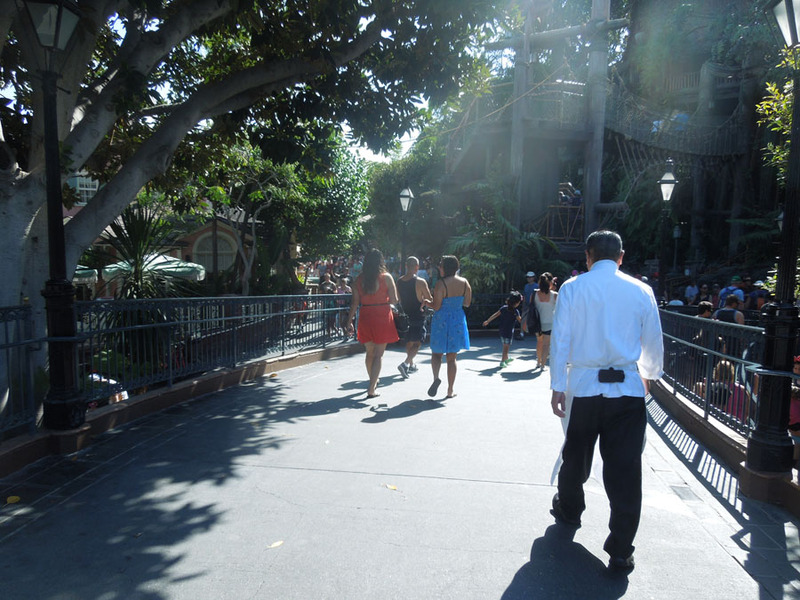 Looking east into Adventureland. Almost the same shot, a year and a half later. 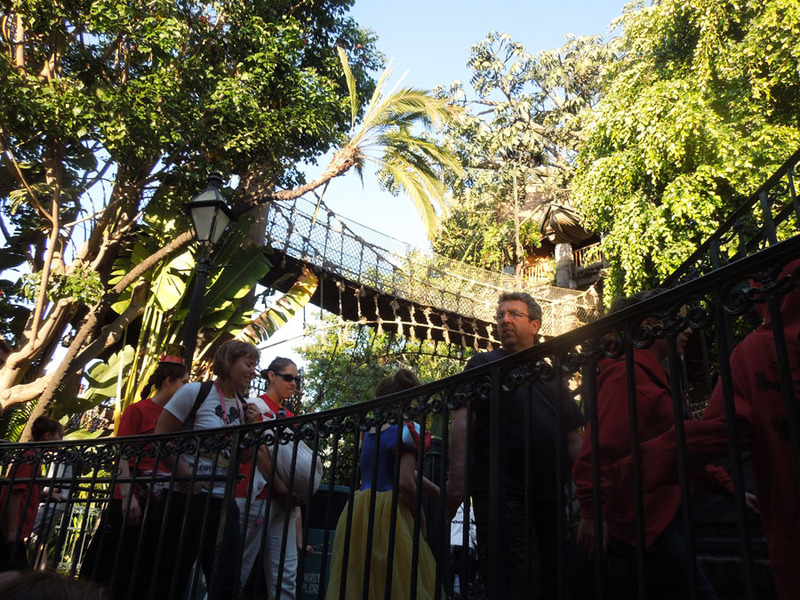 Looking back at the two-tree plaza, and at the walkway above the Pirates dual-arch entryway. Another photo of the arched entry from the front. 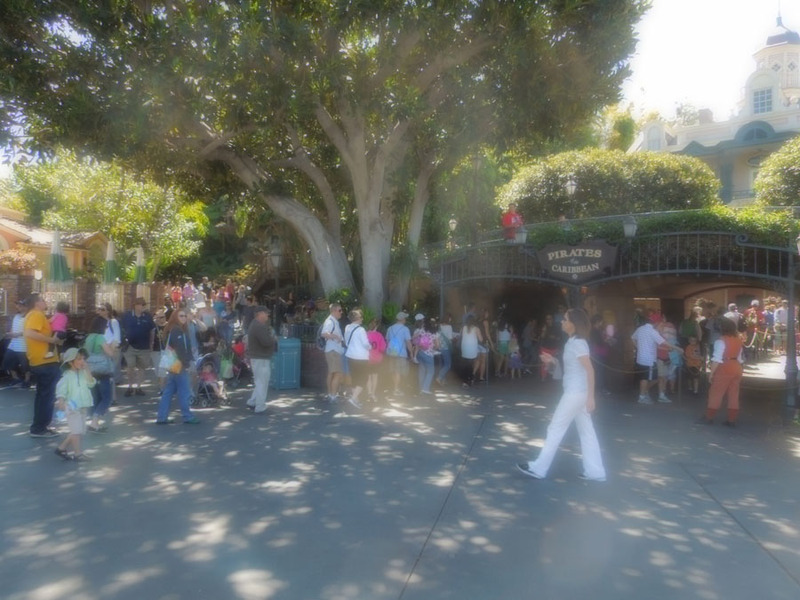 A look east from in front of the entry arches. 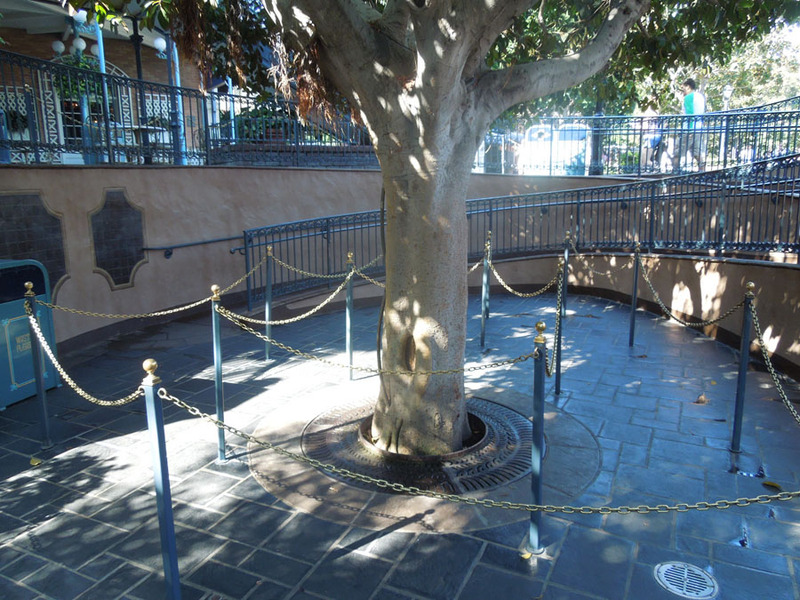 A massive tree anchors the eastern edge of the arches, marking where Adventureland ends and New Orleans plaza ends. 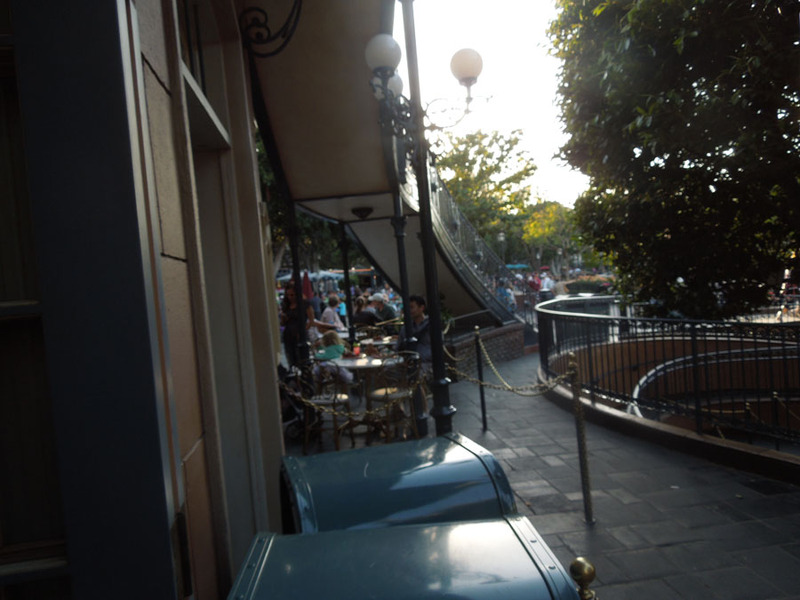 That's the River Belle Terrace Restaurant on the left. 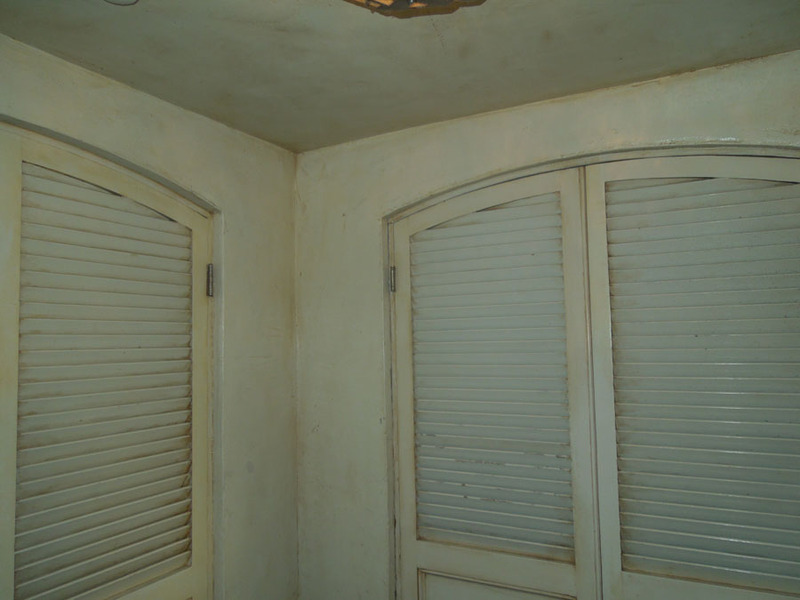 The door in the archway. 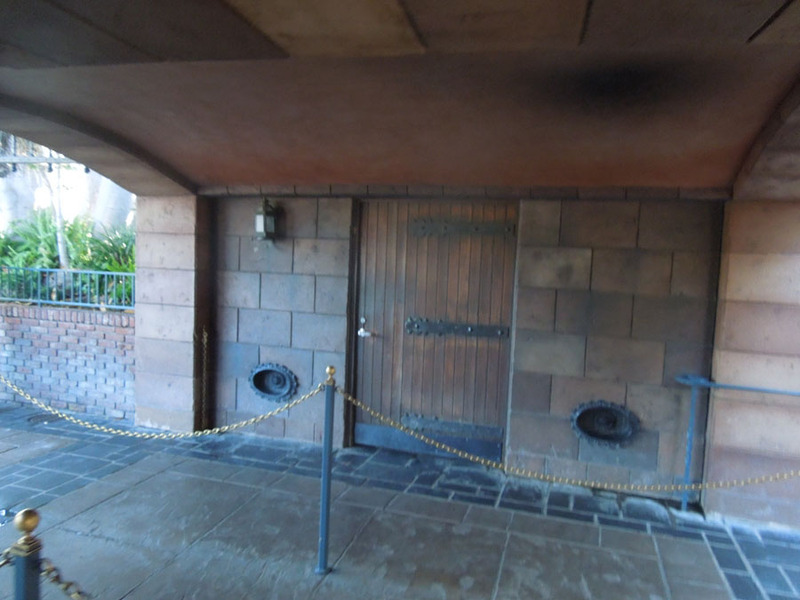 It leads to a mystical closet where poles are stored for Pirates and Fantasmic line management. Half of the two-tree plaza. 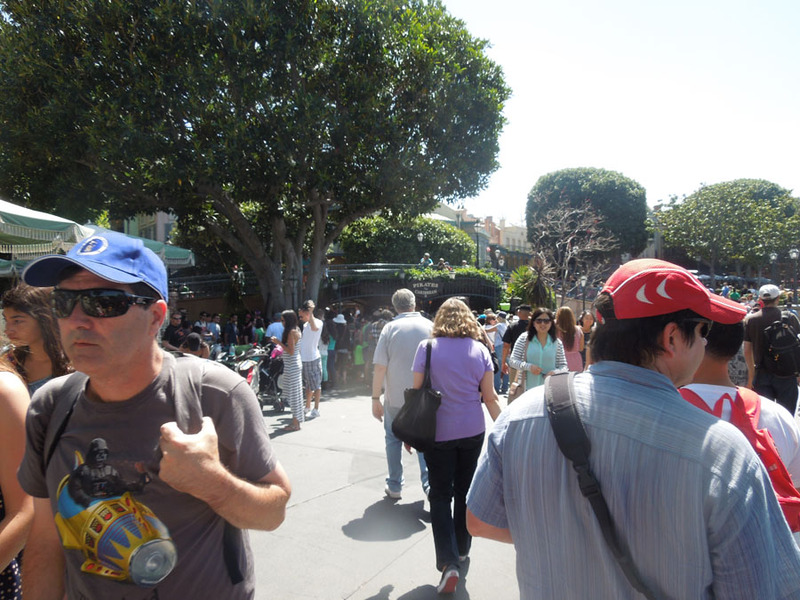 I bet these are two of the most circumnavigated trees in the world. 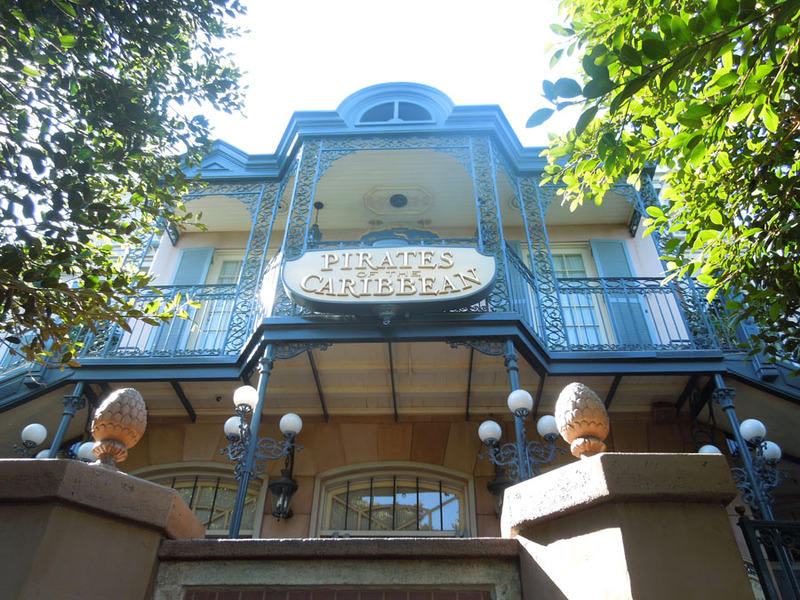 The building facade for Pirates of the Caribbean. 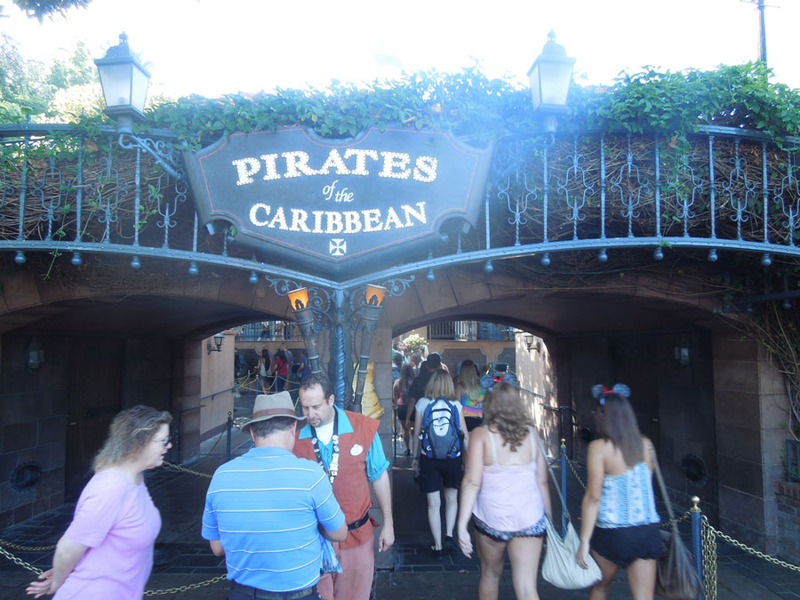 You can see a bit of the blue "Dream Suite" sign above the gold Pirates sign. 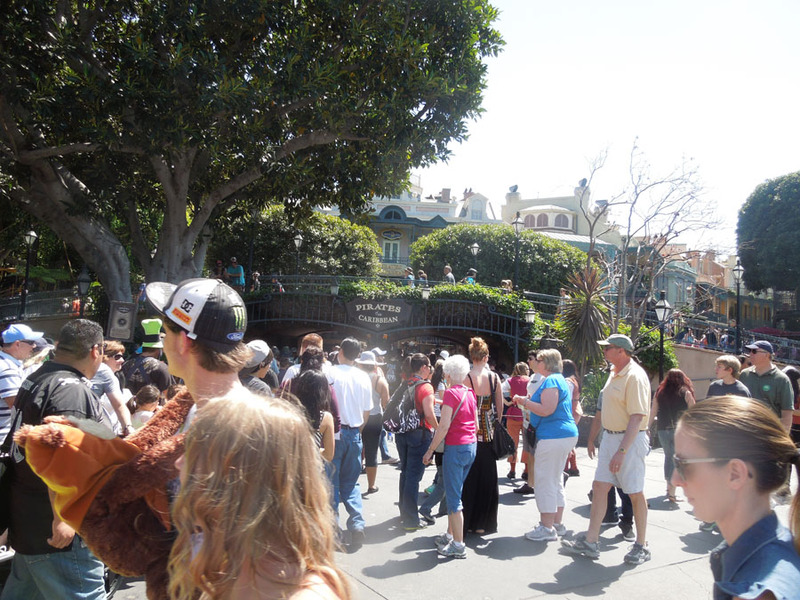 The atmosphere of the line quickly dims when you enter the building. In the front of the boat. 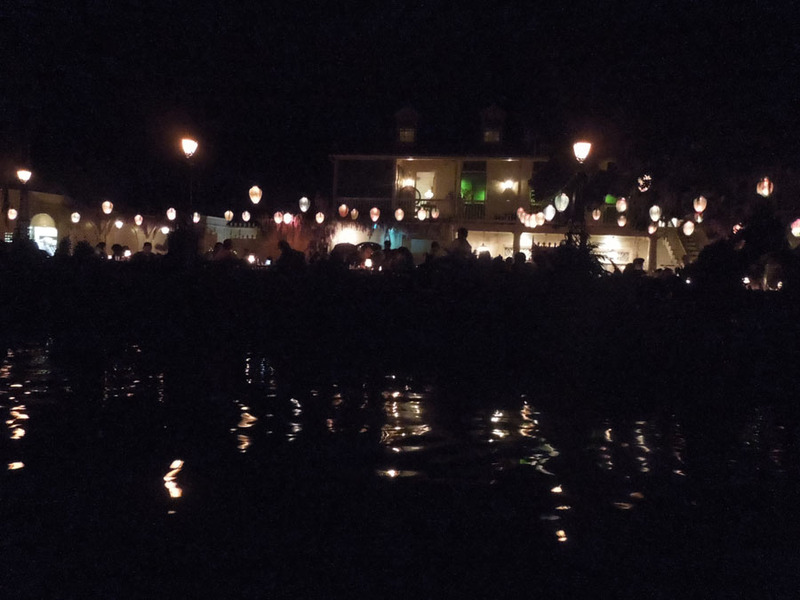 I believe these boats are bunched up because it is the end of the ride. 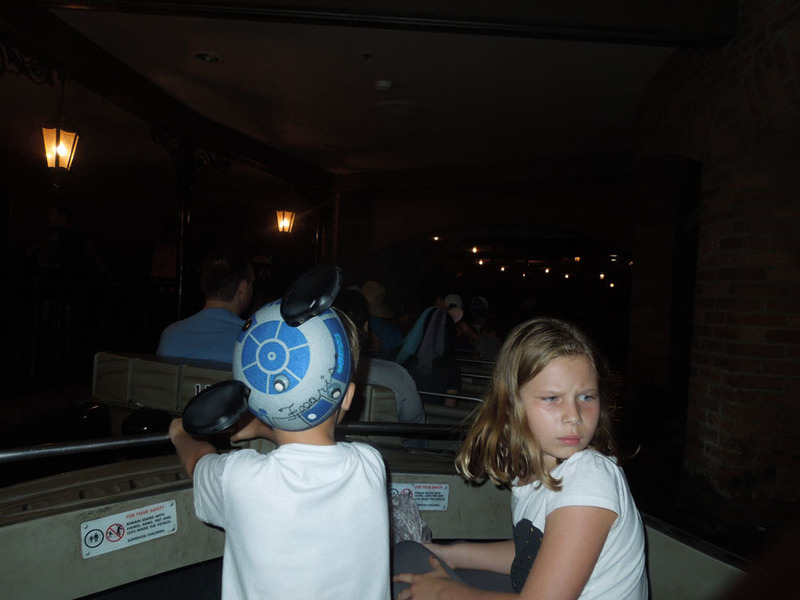 Preparing to exit the ride. 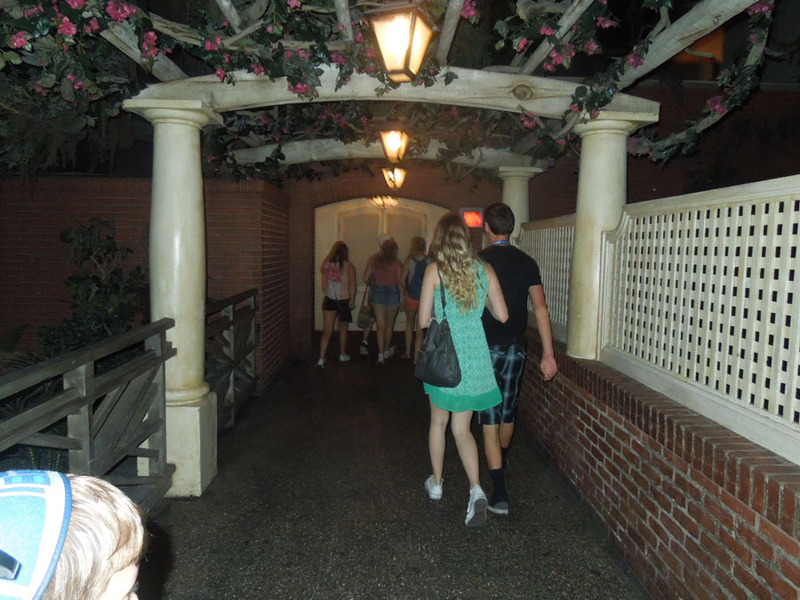 The exit gates. 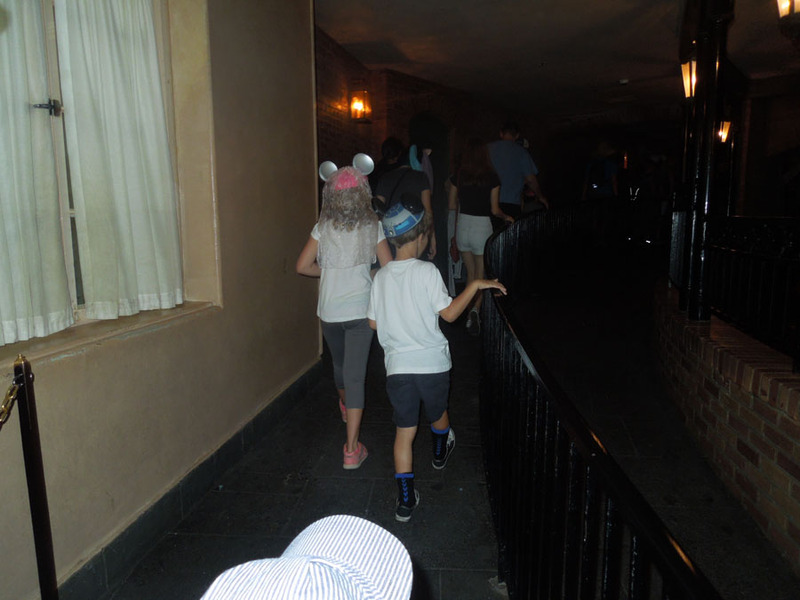 There is still a short walk to exit the building. 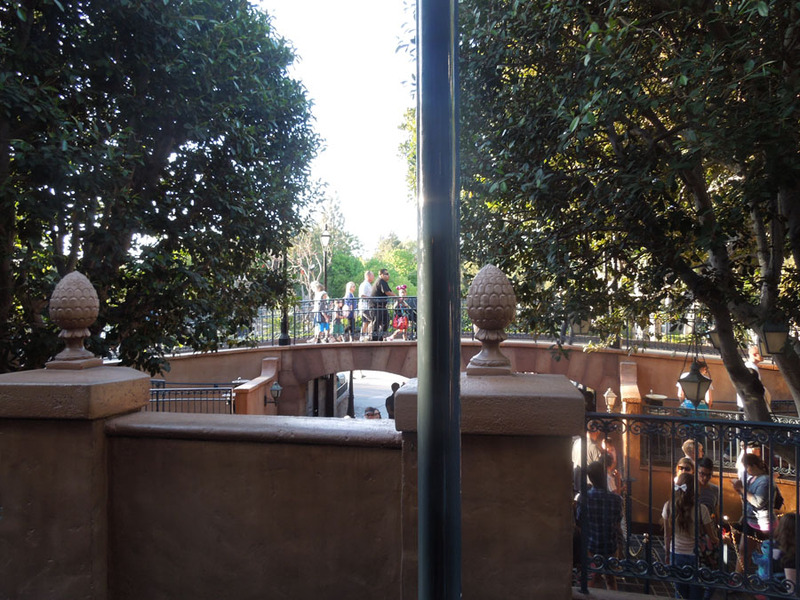 Columns and trellis above the path to the ride exit. 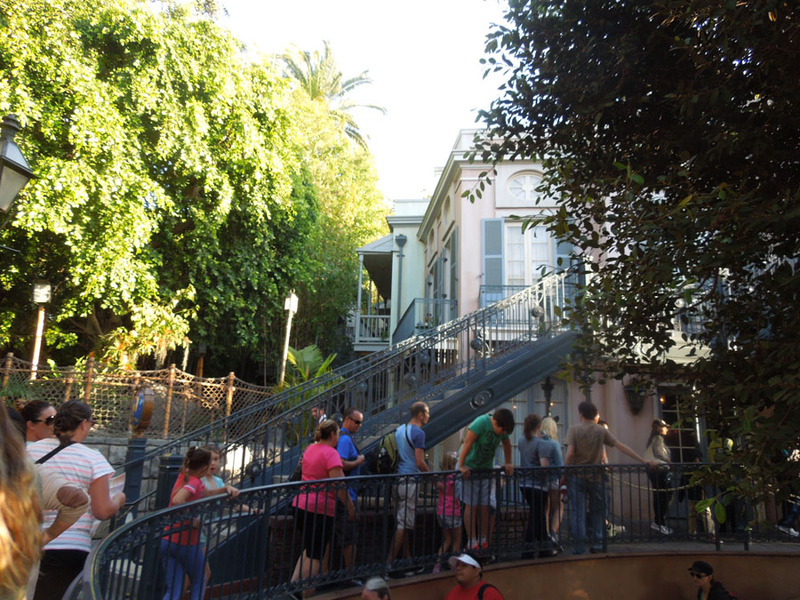 The door on the left leads to an elevator down into the New Orleans Square kitchen. Don't go in there. 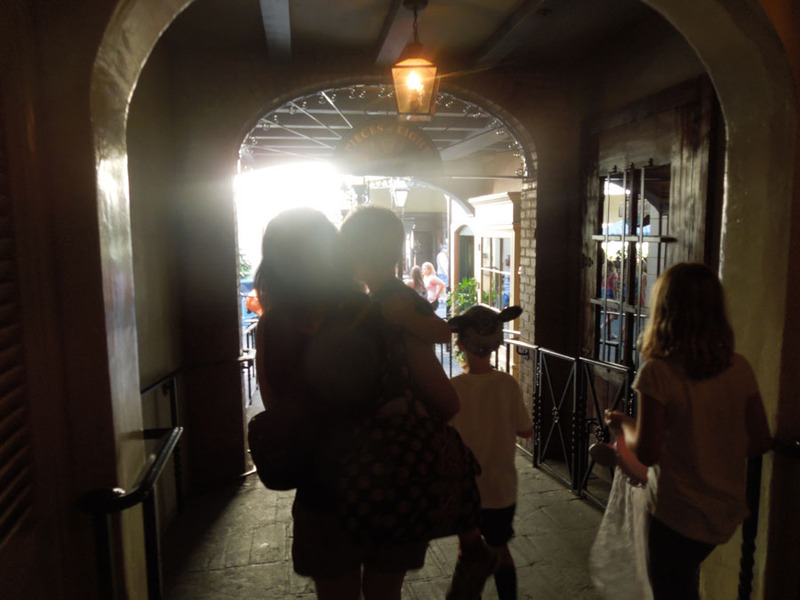 Exiting from the building, guests are invited into the Pieces of Eight gift shop, but they aren't forced through it. 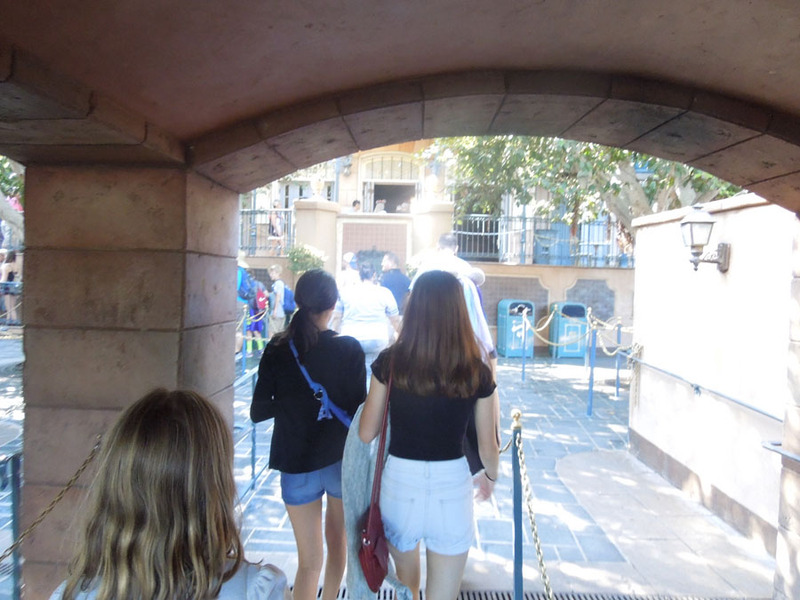 The pathway above the Pirates archway. 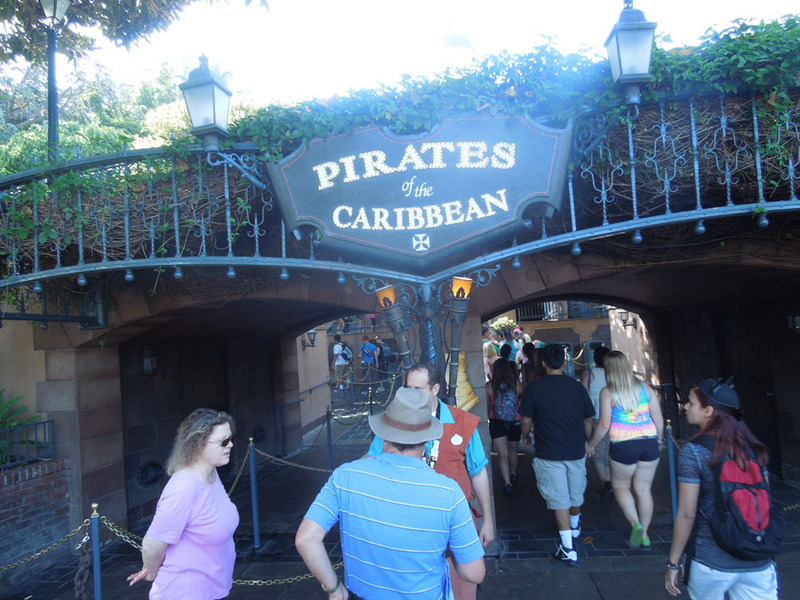 The Pirates archway from Frontierland. Another shot of the archway, from the water's edge. 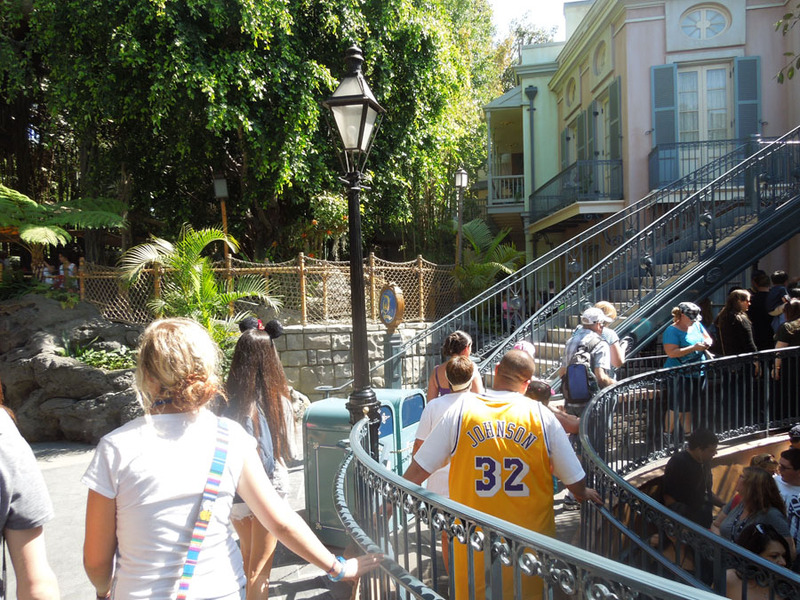 Where the path splits to go over the arch or down to the Pirates entrance. Looking down at the twin-tree plaza. 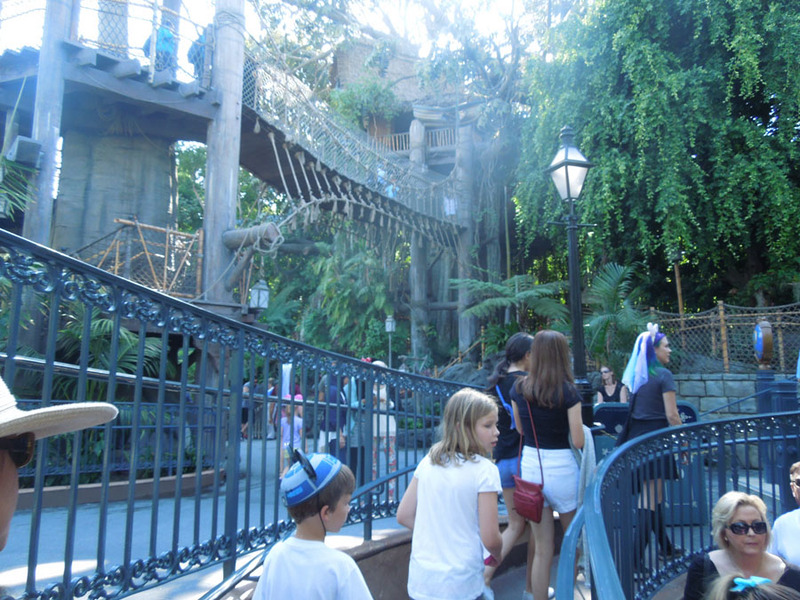 Adventureland, Dream Suite stairs and Pirates queue. Looking west from the Pirates line. 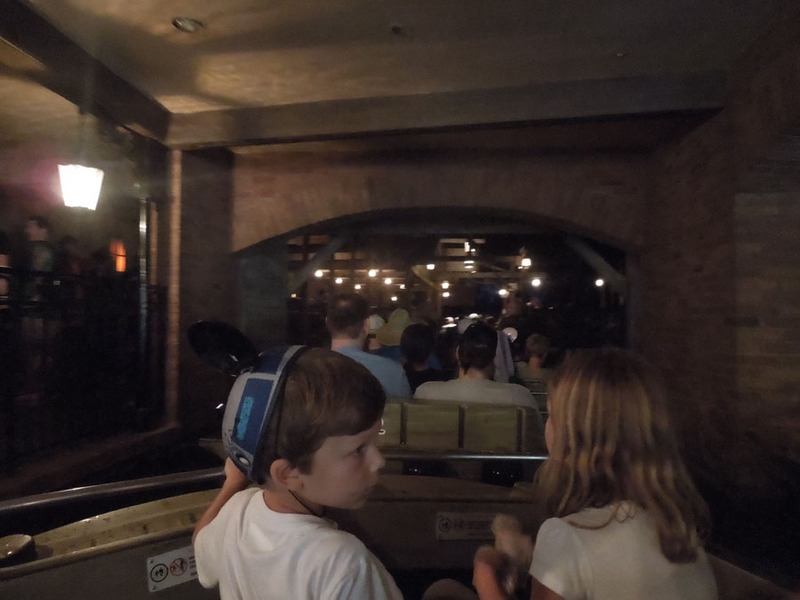 The view of the ride from the line. 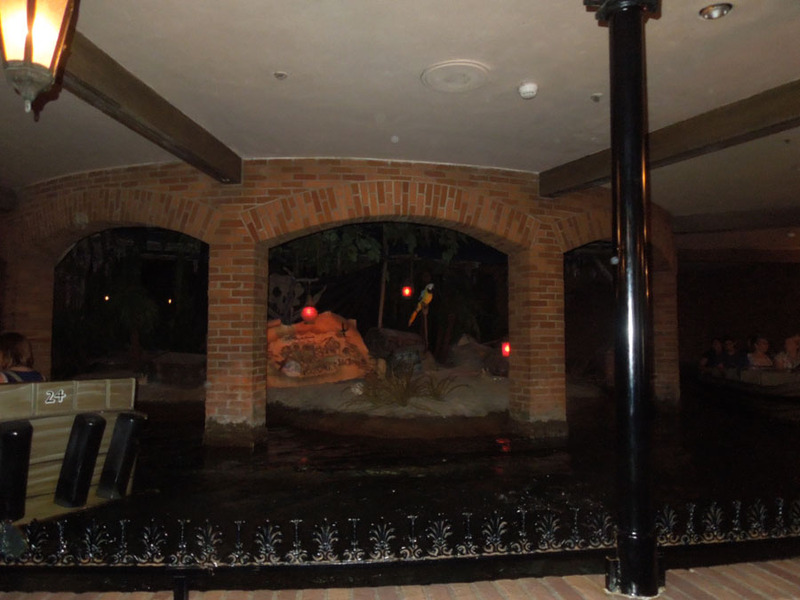 A view of the Blue Bayou Restaurant from the Pirates ride. 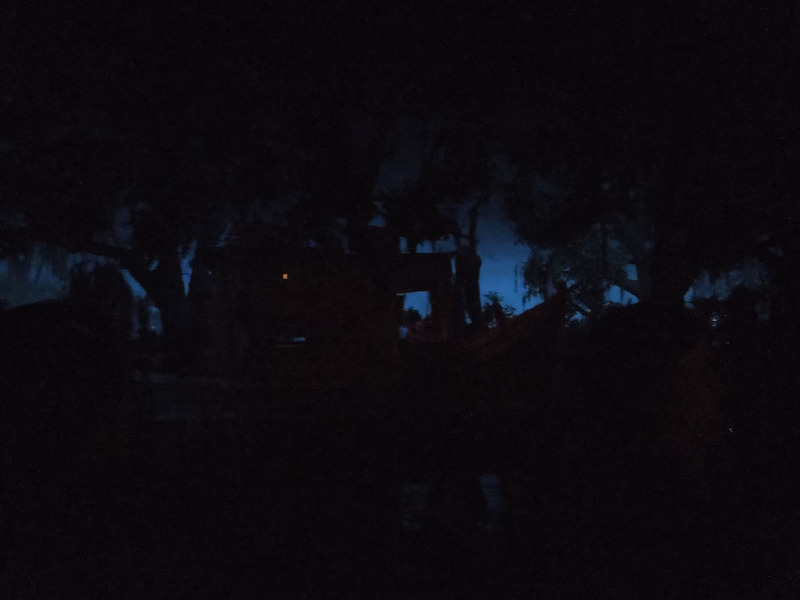 The dark sky above Pirates of the Caribbean. 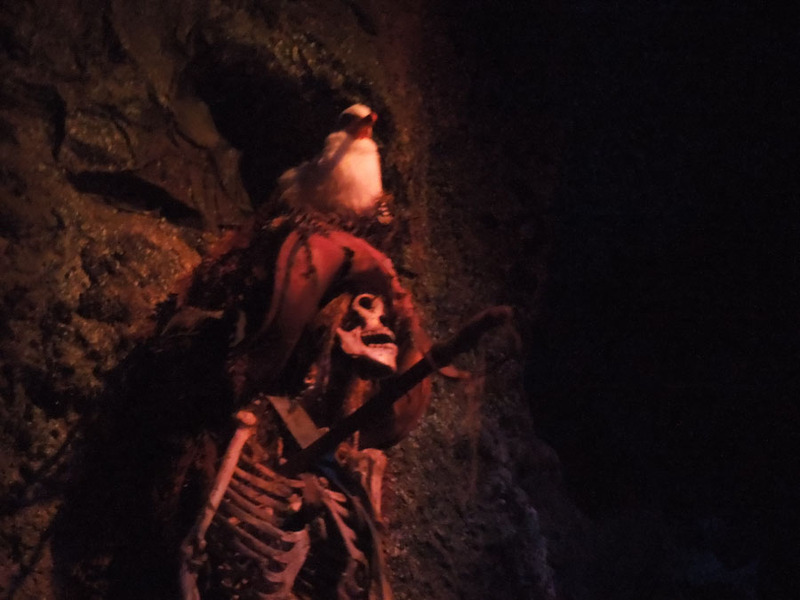 Dead pirate with a seagull on his head.